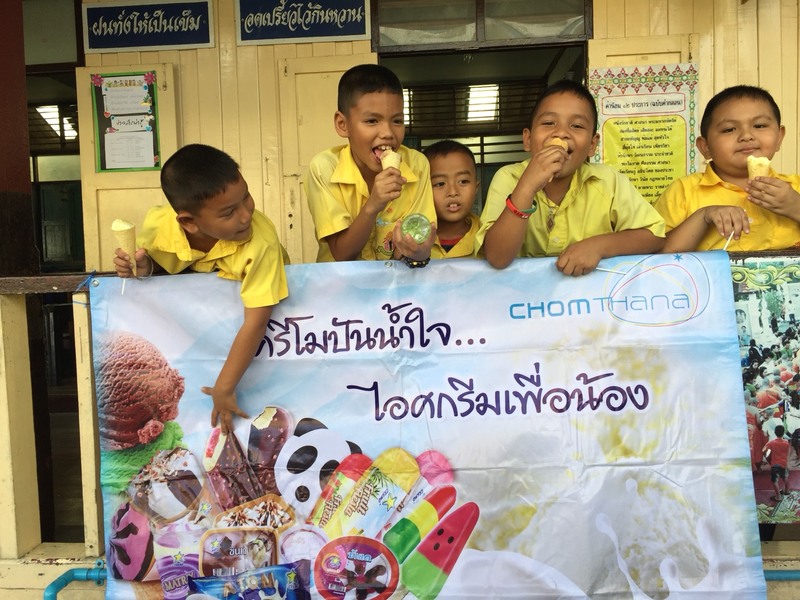 On 10th November 2017, Chomthana happily distributed ice cream to over 800 kids at the Bua Kaew Gaysorn Community School in Pathum Thani district’s Lad Lum Kaeo. The smiles on these kids were priceless! 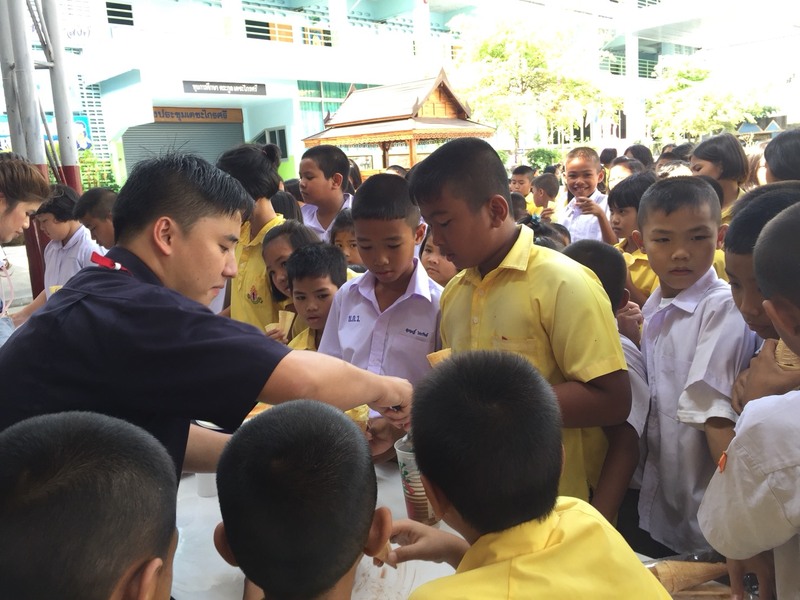 Chomthana supported the Anti-Drug Campaign 2017 organised by the Pathum Thani Khu Bang Luang SubDistrict Administrative Organisation by donating ice cream and joining in with local activities at the Watsuwanjindaram School and Watchantraram School. CREMO Reward Points – Collect Points to Exchange for Exclusive Premium Gifts! Collect Cremo reward points to exchange for premium gifts! Come join our Cremo family and become a distributor by contacting us (send us a message on Facebook or call +662 979 4800 today). – Points do not expire and redeemable all-year round. 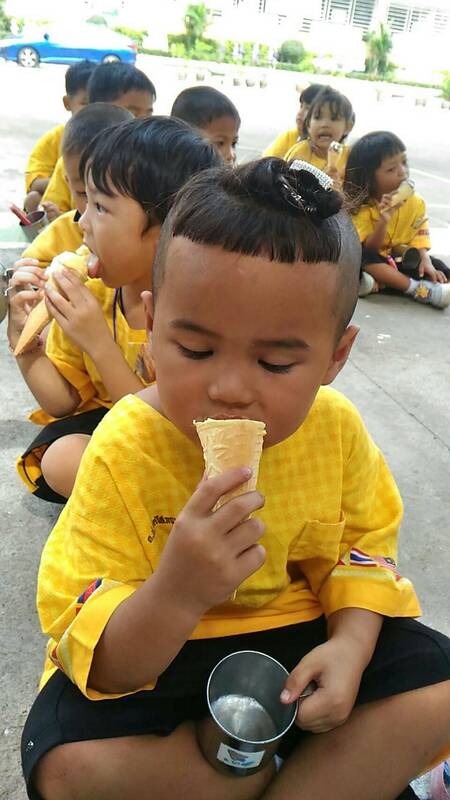 – 1 baht = 1 point. 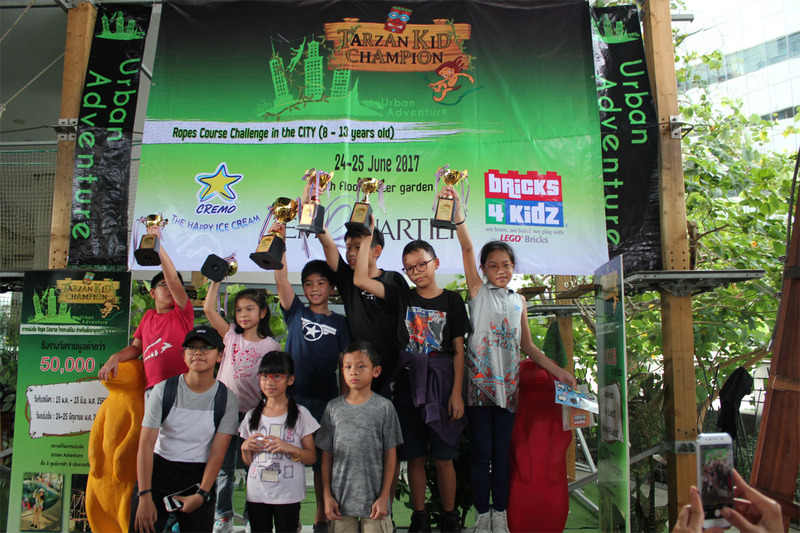 – Points can be collected starting on 1st March 2017 onwards. – Right to exchange ends when customer cancels trade agreement or company refuses right to sell to any customer. – Chomthana Co., Ltd. reserves the right to end this promotion at any time and will accordingly give notice to do so. 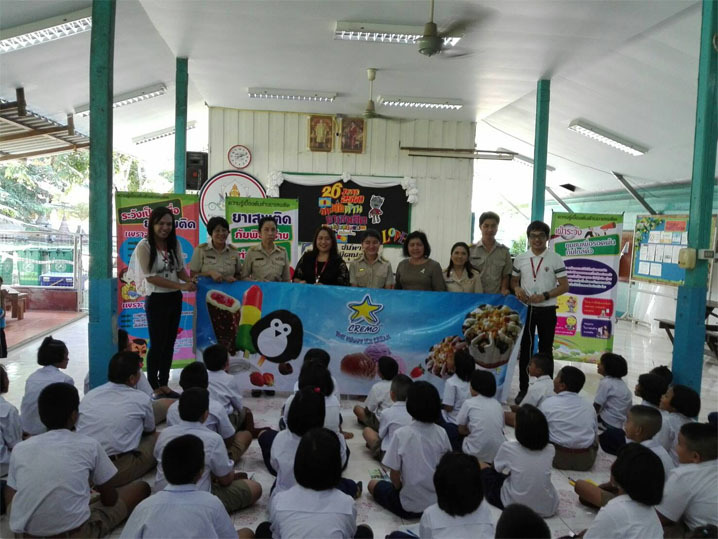 – Chomthana Co., Ltd reserves the right to substitute the prizes with a similar value according to availability. 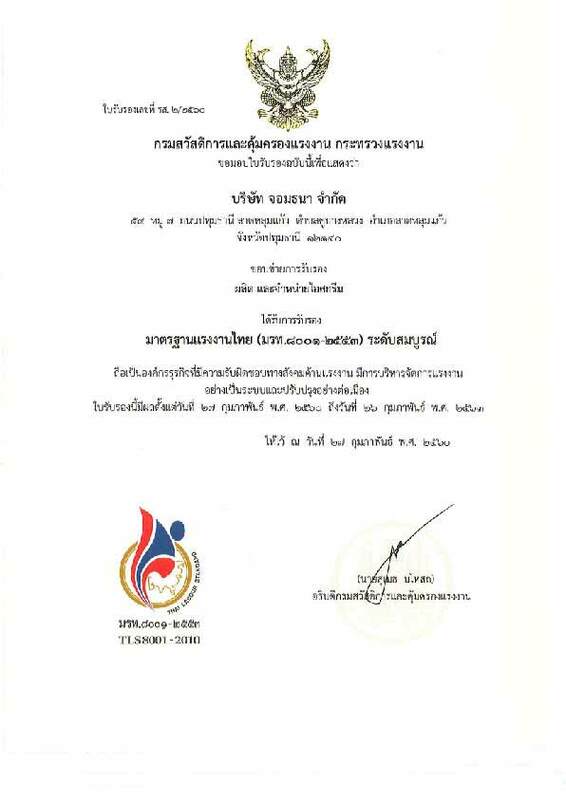 Chomthana has just received the Thai Labour Standard Award by the Ministry of Labour, Government of the Kingdom of Thailand, certifying our commitment to improving and sustaining welfare and labour standards. The certification is acknowledgement of Chomthana‘s systematic labour management and corporate social responsibility on labour. Chomthana is also proud to receive the Green Industry Level 2 Award, a recognition of the company’s efforts to ‘go green’ on an industrial level and be environmentally responsible.